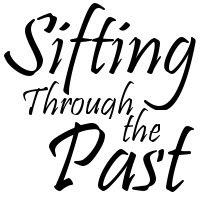 As the 12 subscribers to Sifting Through the Past may (or may not) have noticed, I have not written a blog post in some weeks. This is for two reasons; 1. I went on a two-week smash-and-grab hunt for documentation on a particularly interesting ancestor, and 2. I was so burned out on genealogy research afterward that my brain hurt every time my thoughts drifted to the topic. If there is any lesson in this, I suppose it would be, "Don't do as I do." Or, do. Unless you are in the middle of professional genealogy research for a client, I don't really see the harm in taking an extended break from it after an intensive period of non-stop overexposure to your family history. So, after a couple of weeks spent doing little more than recovering from my genealogy bender by putting the house back in order, reading dystopian fiction, and playing some old-school SimCity 2000, my brain is no longer threatening to melt at the thought of genealogy. I even managed to resume my column at The Examiner this morning with a budget genealogy post about the Nineteenth Century U.S. Newspaper Digital Archive (the very resource that kicked off this documentation spree in the first place). Next week I plan to post here and there about the other resources that fueled my family history frenzy, and maybe a bit of what I found. But for now, I have a couple of more loads of laundry to finish, and some chicken to toss in the slow cooker.